On Monday Adrian Swartout, owner and CEO of Gen Con, the tabletop gaming convention originally founded by Gary Gygax, sent a letter to Indiana Governor Mike Pence expressing that the convention's organizers and attendees were against the passage of SB 101. Swartout went as far as to threaten moving the convention if the law passed. For those who don't know, SB 101 furthers people's protections against state and local governments infringing on their right to practice their religion. This translates to a business owner being able to use their religious beliefs as grounds to refuse service to any customer. On Thursday Indiana Governor Mike Pence went ahead and signed SB 101 into law. Gen Con responded to the news by sending another letter to potential attendees. This letter revealed that, even though Gen Con organizers had begun the discussion of whether or not the convention will stay in Indianapolis, any potential move to another state wouldn't take place until 2021. Gen Con is under contract with the city of Indianapolis to hold their convention there for the next six years so Indianapolis and Indiana will continue to benefit from the convention being held there. However, there is a way for the convention and its attendees to still make their voices heard. Gen Con attendance has more than doubled in the 12 years that it has been held in Indianapolis. It doesn't draw SDCC number, but in 2014 the convention saw more than 56,000 attendees. These gaming enthusiasts all spend money on food, lodging and other items during the four days of Gen Con. 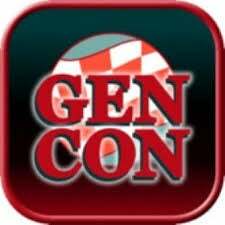 Now Gen Con is facing the reality that many convention goers will not want to travel to a state where people can be refused service at businesses based on their sexual preference or gender identity. Swartout's letter assures attendees that local businesses in Indianapolis have expressed their support for the diversity of the attendees, but there is no way for the organizers to guarantee this. Even if they could why would people want to spend their money in a state that would pass a law like SB 101? Gen Con's threat to leave Indiana may be a toothless tiger right now, but if 50,000 people speak with their wallets Indiana's government and businesses may still get the message.